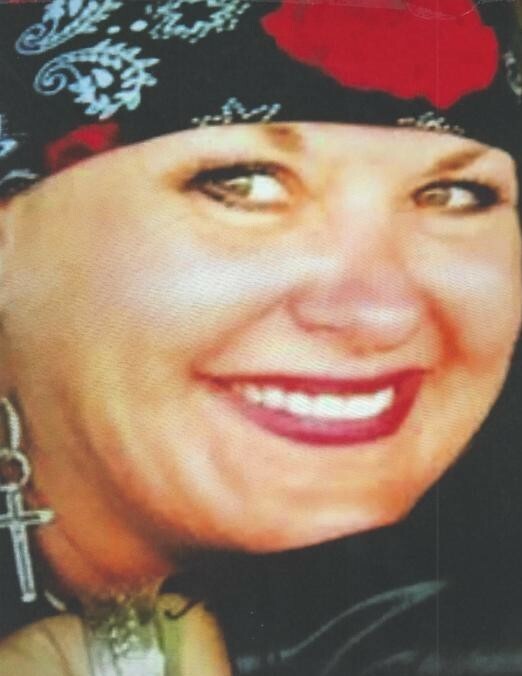 Boyd ~ Jeannie Ruth Moran, 51, a housewife and Johnny's co-pilot, went to be with our Lord Monday, November 5, 2018, in Fort Worth. Funeral is 2:00 p.m. Sunday, November 11, 2018, at Hawkins Funeral Home Chapel Boyd with burial in Garvin Cemetery. Family will receive friends 5-7 p.m. Saturday at the funeral home. Rev. Doug Acklie and Wesley Spry will officiate. Pallbearers are James Moran, Richard McDonald, Robbie Kosman, David Granstaff, Gary Bunch, Larry Johnson, Mark Barrow, Darrell Lamance, J.C. Curtis, J.R. Rakes and David Lee. Jeannie was born on March 6, 1967, to Kenneth and Belinda (Lemons) Moran in Decatur, Texas. She enjoyed motorcycle riding and enjoyed driving coast to coast in the truck with Johnny. Jeannie loved her family and spent as much time with them as she could. She was preceded in death by her grandmother, Alta Lemons; and her grandparents, T.J. Moran & Ruth Eimer. Those left behind to cherish her memory are her fiancé, Johnny Lamance of Boyd; her sons, Benjamin L. Earley & wife Angela of Rhome, Johnny Lamance II & fiancé Carolyn of Fort Worth; her daughters, Emily June Earley of Portland, Oregon, Briana Lamance of Lewisville; her parents, Kenneth & Belinda Moran of Rhome; her grandfather, M.C. Lemons of Harleton; her brother, Bud Moran of Princeton; her brother-in-law, B.I.L. of Boyd; her grandson, Atlas Earley; one grandchild on the way; numerous nieces, nephews, cousins, and a host of friends.